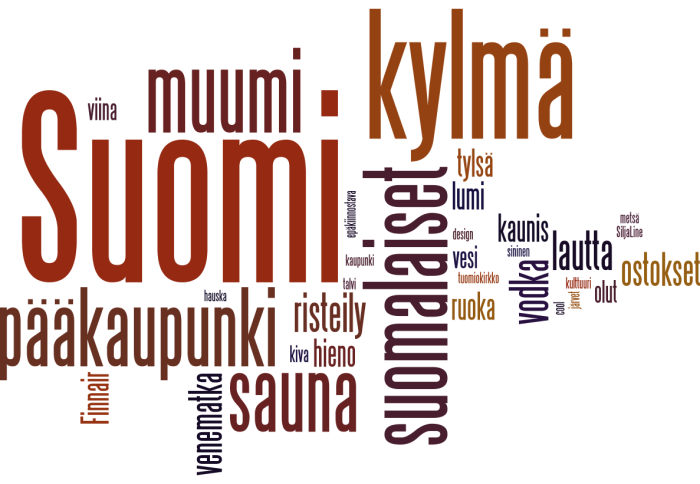 During the summer a huge number of studies on Helsinki, ranging from tourism to land development, were analysed. A new study explored Helsinki’s image among young people in 10 countries. It was startling to note how little was known about the city, even in its neighbouring regions. The key impressions among Swedish youths can be summed up in three words: Finland, capital, boring. We gathered experiences of Helsinki in pictures during the summer. In words and pictures, tourists, locals and other visitors told us how they had experienced the city. To our surprise, the pictures were broadly similar, mainly about monuments, spaces and the scenery. We had expected more comments about experiences, or that the images would be more diverse among different groups of people. We learned that we need to make more of the experiences and phenomena that define Helsinki, its personality, when marketing the city. It’s not enough to market places, sights and scenery. We will continue our analyses of the Helsinki image content and texts, e.g. via SoMe channels, during the autumn.